Like any juicy breakup from our adolescence, entrepreneurs also crawl their way through similar stages of grief when faced with startup failure. It’s been four months since we discontinued work on Bidzuku and until now, I was unable to string together my thoughts into a coherent and helpful message despite my best efforts. Time has since passed and grief has turned into that burning desire to do something worthwhile again. So, in an attempt to thwart other very eager entrepreneurs from making the same mistakes I did, here are 7 things I learned from my most recent of tragic startup failures. 1. Shut up about equity and build something. Passing equity around before you’ve done anything is like budgeting your lottery winnings before you’ve even bought the ticket – at this point it’s nothing more than unicorns and rainbows as my developer would say. 21.8% of an idea is 100% of nothing. I’m glad we wasted so much time on it too because I can’t wait to buy groceries this month with my chunk of equity. 2. You are NOT more valuable than your cofounders. When it does come time to put something down on paper for equity share (you had better at least have an MVP), split it even. It was my idea, it was my money being spent, it was my contacts, it was my experience, it was my design and marketing, and it was my team. Despite all of that, I couldn’t have built the product without my cofounders. Unfortunately, I spent too much time justifying my contributions and not enough time considering how that affected my team. Assuming you’ve built your team right, you each share a significant amount of responsibility and complement one another’s skills. If you’re pre-money, look at the people around you and ask yourself if you can get to where you need to be without them. If you can’t, split the unicorns and rainbows evenly. 3. Get to your MVP in under 6 months, not 18. I could argue that two of us were new to some of what our roles demanded, but the bottom line is that it took way too freaking long for us to launch and it was mostly my fault. Two very well-funded competitors dropped out of stealth when we pushed our alpha and I started putting far too much emphasis on competitor-killing features and not enough time getting to market. I was determined to have a well-branded, polished, feature-loaded, completely bug-free product for launch. When we finally launched I had exactly that plus an empty bank account, no paying customers, and a tired team. Here sits a beautiful working site crammed with 6+ months of additional features, gathering dust. Point is, launch your MVP now and roll out the extra goodies later – I promise you’re the only one who cares. 4. Read until your head explodes. I always hated reading. In fact my elementary school teachers used to call me an expert skimmer. It wasn’t until after our startup was swallowed up that I realized just how many mistakes I made by being ignorant. I can honestly say that at least half of my mistakes could have been easily avoided if I would have just picked up a book, especially something on lean startup methodology. But like so many of us, I too was a busy and very important entrepreneur. Stop making excuses, if you have time to sit on a toilet you have time to read. 5. Buy tacos instead of business cards. You should be perfectly capable of getting your MVP to market for next to nothing. Save a few bucks and buy the team a $10 tasty 12-pack of tacos. Joke’s on me though, it was only my life savings and a few credit cards with double digit interest rates. 6. Spend more time with people. Nearly two years passed by the time we threw in the towel. In that time I got a cat, moved twice, and somehow managed to get married. Between my day job and our fledgling startup I afforded less than 20 minutes a day for friends, family, and my new wife. Needless to say, they were all neglected – including the cat.I lived my startup; there wasn’t a moment I wasn’t engulfed by it. “If I could just get this one thing done” led to missing so many important moments with the people I love. As entrepreneurs we typically live life in the next moment, it’s in our blood. Not learning to turn this off and at the right times was probably my biggest mistake. I was never really listening to the conversations people were having with me because I was thinking of my startup, I stopped responding to my friends’ invitations to socialize, and I missed too many dinners with my wife. Make time for the people in your life. Unlike great ideas, people expire. 7. Don’t fear failure, expect it. I’m not saying you shouldn’t be optimistic or try until you can’t try anymore. What I’m saying is that you need to be aware that failure is highly probable, and that if you expect it you’ll be ready to take action. 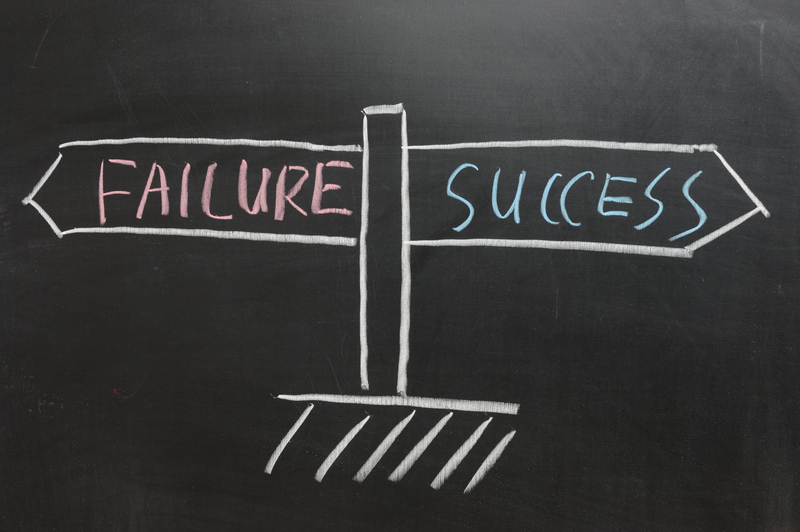 Any seasoned entrepreneur will tell you that failure is an opportunity if you see it as such. Instead of battening down the hatch and covering your eyes when you see it coming, be transparent with your team and decide how to pivot. Knowing how to react and when to do it is half the battle. Don’t let the picture being painted across the web of glamorous $MM exits or billion-dollar social networks fool you. There isn’t a successful entrepreneur I know who hasn’t failed at something at least once, (most) of these were not the founder’s first attempts. You will fail and when you do you will disappoint people, you will doubt yourself, and you will feel crushed… But you will pick yourself back up again and when you do, you will be successful. It’s what we learn from failure that defines us. Good luck!